Stargazers and night owls assemble! This Monday keen observers of the night sky will have the opportunity to see the biggest full moon in over half a century. On Monday November 14th at 13:52 GMT the moon will reach full phase at its closest point to the earth, thus making it appear considerably bigger and brighter. It will be at least another eighteen years before the moon is this close to the earth again. NASA are calling this an extra-supermoon because it is the largest of three supermoons in three months (Oct, Nov and Dec) but also the largest and closest that the moon has been to the earth in the 21st century. The moon will reach full phase at 08:52am EST, that’s 13:52 GMT, so head outside soon after Monday’s sunset for your chance to see the extra-supermoon. The best viewing conditions will be away from light pollution, in the countryside or even out at sea. Dust off your telescope for an even better sighting. 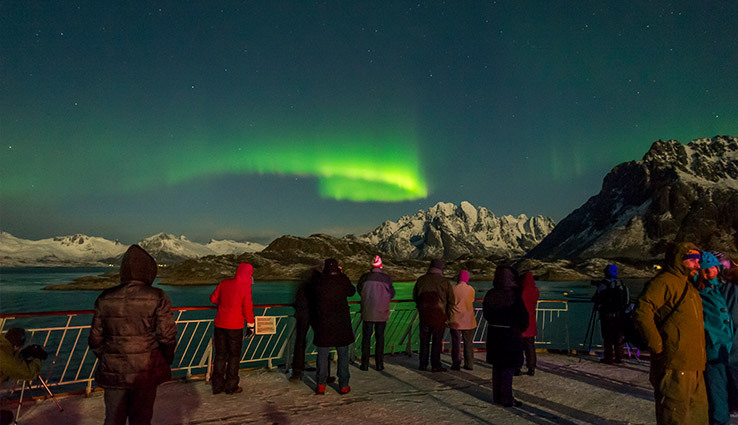 There is no better time for stargazing than when you’re at sea and many cruise lines can help you to get the most out of your starry eyed experience. The moons gravitational pull can have an effect on the tides, ask an onboard expert if you’re interested to know more. Hurtiguten are so confident that they can show you the phenomenal northern lights that they offer a northern lights promise. The ship’s captain knows all about chasing the lights and the ship will sound a horn to make sure you know when to be on top deck for a sighting. Cunard bring you a virtual galaxy quest onboard Queen Mary 2 in the only planetarium at sea. Get to know the night sky with commentary from Royal Astronomical Society experts. Perfect and cosy if there is a bit of a chill out on top deck. In October 2017 you can cruise with Cunard for Space Week and sail alongside astronauts, scientists and space experts. If you want a little time out to marvel at the stars solo, there are several night sky and stargazing apps that you can download to your smart phone or tablet before you set off. 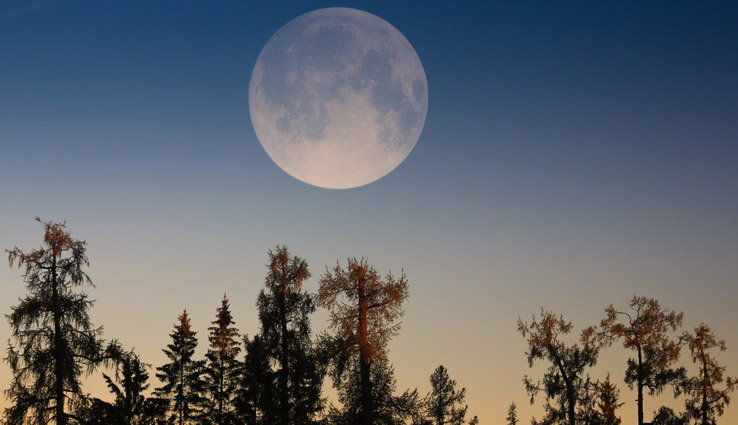 Supermoon fact – The supermoon is nicknamed the Beaver Moon because it signified the time to set beaver traps for Native American tribes collecting fur for the winter season.